I've resumed work on bits and bobs for the next Omenopus album. Much of it has already been completed by Lee and Bridget (with Atlanta muso Sheriden Starr involved in at least one major track), but there remain a few bits of bass to add - and maybe some more guitar. I usually record at home for Omenopus, but with a toddler (now a five-year-old - how time flies!) in the house, I've had fewer opportunities to play music over the last few years. I'm hoping to ramp it up again now, and get some more stuff written and recorded. Autumn 2018 - lots of new poetry projects! Back in 2016, I made a New Year's Resolution to write a poem every day for the whole year. Typical - I'd forgotten it was a leap year, so that meant 366 poems! Well, I did it! In fact, I wrote several poems on some days, so I reckon I've got at least 400 new poems to sort through! They're all complete, but most are in a 1st draft condition, and all had been scribbled in notebooks, so I have begun the long process of typing them all up on the computer. . . Some of the poems came about as a result of telling stories about monsters to Tristan (such as The Toe-Tickling Monster that comes out at bathtime to tickle the toes of naughty, noisy toddlers, and the Toy-Stealing Monster that takes away toys which have been left lying around). Julie reckoned there might be an audience for a book of such poems, so I've now begun the task of fettling these works into publishable shape, and writing new poems about other monsters. An artist friend is interested in illustrating at least one of the poems, and I might have a go at illustrating some of them myself too. A second poetry project was suggested to me by my good friend Lee Potts, who is preparing a new album of ambient music (can't say any more yet - in fact I've probably already said too much!). He asked me if I could listen to each of the new tracks and write some words, inspired by the music. The project has grown a bit since I started, as Lee is now illustrating each track, and has provided a back-story for the whole project. The poems I have written take into account the music, the artwork and the back-story, so the whole thing is shaping up into a concept album. I wish I could tell you more, but I can say that It's something quite different! An old friend mentioned to me that his sister was involved in a video project, and was looking for poetry to accompany the images. It was an open call, so many people have submitted entries. I've submitted my own attempt, so there's an outside chance that it might be selected. If it isn't, I'll post it here instead - it would be a shame to waste it! Finally, Julie has begun to offer her photography and artwork for sale on Etsy, and she's asked if I can provide short poems to accompany soe of the images she has created. These will be incorporated into the final designs, to make them more unusual. We are delighted to bring the news that you can now listen to (and buy!) 1912 music on Bandcamp and the recently-launched YouTube Music. We'd like to thank our good friend Lee Potts (of Omenopus and Monty Maggot Records) for making much of this happen. All three albums are now available on Bandcamp, and we hope to have the recent 4-track Live EP available there soon as well. 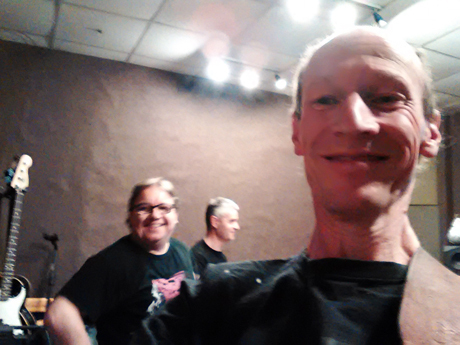 With a shedload of new songs in the bag (and Alex now back in the band - this time on guitars), 1912 returned to Robannas to start recording tracks for a new album - our fourth, and the first to be recorded with the new sonic forces in the band. August 2017 - New 1912 recordings! October 2016 - 1912 back on stage! I've uploaded some scans of really old artwork (mostly from the 1980s). February 2016 - new albums from BOTH 1912 and Omenopus! After a very lengthy recording process (hindered by my enforced absence for several months due to becoming a dad! 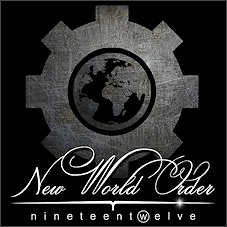 ), 1912's third album "New World Order" is finally here! It gets better: the album features a bonus CD which is effectively the next Omenopus album "The Hybrid Project". So you get the latest releases from both bands in the same package! Go to www.montymaggot.com or www.nineteentwelve.com to find out more. . . I made a weird resolution this year, and so far I'm sticking to it: to write a new poem every day for the whole of 2016. It's a bigger task than I originally expected, as this is a leap year! I'm not sure what I'll do with 366 new poems, but one possibilty is that I'll try to get them published. The best ones will make an appearance on this site, of course. I've started my own business - Cofton Computers - to promote my IT, authoring and proofreading skills. If you live in or near Cofton Hackett (South Birmingham) and need help with any PC-related issues, or you have a document that needs proofreading, give me a call! 16th June 16th 2014 - another free CD from Omenopus! This is a compilation CD, featuring tracks from all of Omenopus's albums so far, many in alternative mixes or edits. And it's FREE! This one is a very special sci-fi concept album, based on a story by our friend and collaborator Sheriden Starr. It features several guest artists, both in the music and in spoken sequences, including members of 1912. October 2013 - I'm a father! Julie gave birth to our son Tristan on the morning of 14/10/2013, at the Serenity birth suite of City Hospital, Birmingham. It was a natural, drug-free water birth. Tristan was fit and healthy - and very large! September 6th 2013 - a free CD for Omenopus fans! A special release to celebrate the 50th anniversary of Doctor Who. 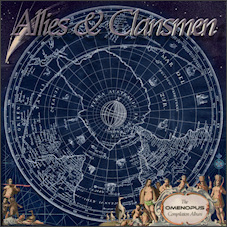 The two track disc was only available to members of the Omenopus Fan/Mailing List. 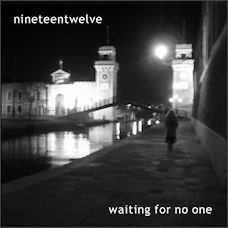 Now available as a three track download. 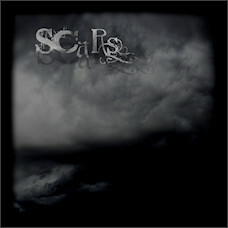 As with the previous album, this can be bought directly from Monty Maggot records, at www.montymaggot.com. Once again, Lee Potts has curated a collection of interesting tracks from artists that share in the Omenopus sound or mindset. Both Omenopus and 1912 are represented here, along with other great bands. Lee has pulled out all the stops with this stunning double-CD package that pairs the concept album "The Plague" with "Scars" - a bonus CD of more esoteric pieces, including contributions from several guest artists. "The Plague, portrayed through the sympathetic lyrics of Bridget Wishart and Thomas Nashe as poetry, nursery rhymes and litanies, is one woman's allegory of England during the 1300's as the plague and death advance across the land." 1912's debut album "Waiting For No One" was officially released on the Monty Maggot label this month. It includes all but two of the songs that we've been recording since we started the group back in 2007, so it's been a long time coming together! You can buy it direct at www.montymaggot.com. 1912 were back in the studio at Robannas in July to record the final three tracks for their debut album (working title is now "Waiting For No One"). These are nearly complete, just a bit of mixing left to do. 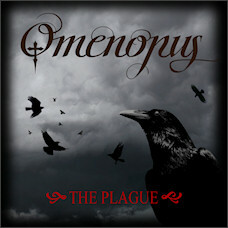 We hope to have the album released in SEPTEMBER, on Lee Potts' "Monty Maggot" label (the home of Omenopus). Thanks again to producer Miguel Seco for his patience and creative input. Omenopus are steadily working towards their second album. We have a lot of stuff recorded, and need to work out what to use and what to put back on the shelf. At least one track will feature my new fretless guitar. There will be plenty of other surprises too, but I can't talk about those yet. Put it this way: you may think you know Omenopus's sound, but "Time Flies" was just a glimpse of what we can do! I'm not getting this page updated often enough! After an extended gig-free period, 1912 are finally getting out there. We did one at The Roadhouse, Stirchley in April (supported by theatrical rock band CalatrilloZ), one at The Billesley, Birmingham early in July (a benefit gig, with many fine acts on the bill), and then back to The Roadhouse to support The Tantrics at the end of the same month. Ideally, I'm looking for part-time or short-term contract work (or piece-work for the proofreading), but will consider anything interesting. 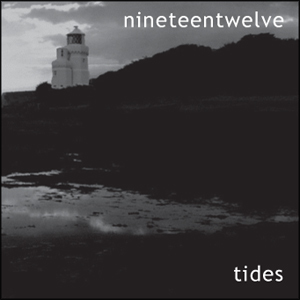 1912 have released a four-track EP called "Tides" this month, to tie in with their first gig in a while, at The Roadhouse, Stirchley, Birmingham on 27th April. The four tracks are available for FREE download at www.nineteentwelve.com. The show will feature the premieres of many new 1912 songs, so I urge everyone not to miss this! This compilation CD has been put together by Lee Potts to promote the music of the many of the artists he has come into contact with over the last few years. 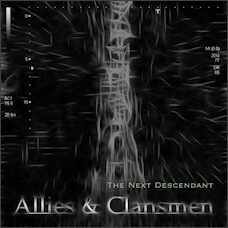 This CD is being offered for FREE to anyone who writes in at www.omenopus.com. Many of the tracks are exclusive to this CD, including a new Omenopus song. I understand from Lee that people who buy "Time Flies" directly from Omenopus's web site now get this album in the package as an added bonus - another incentive to get this great album! The first track is something I'm particularly pleaased with: Omenopus's "Call Your Name". This is a bit unusual for an Omenopus piece, as it's mostly me (on bouzouki, guitar and bass) with Bridget on vocals (and lyricist), Lee on keyboards (and sharing writing credit, as he arranged my basic bouzouki ideas into this song) and real live acoustic drums courtesy of guest artist David Speight. The 1912 song "Please Take Me Away From Here" also features on this disc. Julie has been showing me how to design using CSS, rather than traditional HTML. The first fruit of this is a redesigned 1912 site www.nineteentwelve.com. The site is now very small, but this is due to the wishes of the other band members, who wanted something a bit more "enigmatic" this time. 1912 were back in the studio at Robannas this month to tweak some of the songs recorded recently. A few parts were changed, and four of the songs were re-mastered to be released as an EP later this year. 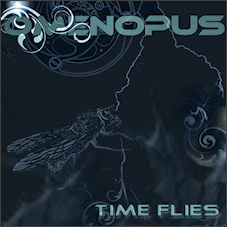 December 2010 - Omenopus debut CD "Time Flies" is released. Not only that, but it's available from a whole variety of sources. You can get it direct from our own site, or find it at CDBaby, iTunes and even Amazon. See the Omenopus web site for more info (and a nifty video "trailer" with snippets of the tunes): www.omenopus.com. Let's hope this CD flies off the shelves as fast as our free sampler did! There are also plans to give away some autographed copies of the CD soon, so check the Omenopus site often for more news about this. No idea why anyone would want MY autograph, but I'm sure plenty of Hawkfans will be eager to get Bridget's! Truly the month from hell. . . In one week, I left my job, we lost Julie's mother Christine, and our own first child was stillborn. Rest in peace "Basil". Your time with us was short, but we miss you. See the Words page for a poem about this sad event. Oct 2010 - 1912 record "LIfe On Film"
On 28/10/2010 and 29/10/2010 we were back at Robannas recording "Life On Film" with Mig producing. Personally, I found this a rather difficult time, as I had a really bad migraine over these days. So I'm not entirely happy with my contribution this time round. This last track completes the recordings we need for our 1st album. All that remains is to tweak a few of the older recordings (some song structures have changed a bit since we originally recorded them, and there are a few bits that can be tidied up) and get them mastered. So now we need to start thinking about album art. . .
On 23/08/2010 and 24/08/2010 we were back at Robannas recording "Siren Song" and "Maybe I Lied" with Mig once again at the desk. I used my new acoustic bass on these two tunes (the same one that was first used on Omenopus's "Truth And Lies") to help give them a more rustic feeling. Aug 2010 - Omenopus debut CD is complete. . . er, again! The album is now entitled "Time Flies". The delay since January has actually benefitted us, as the new version is an improvement over what we would have released back then: new songs; new instruments; better arrangements; a guest vocalist. See the Omenopus web site for more info: www.omenopus.com. We've finally got our flagship song "Please Take Me Away From Here" recorded. 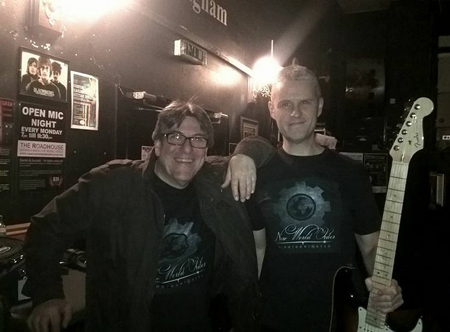 As usual, recording took place at Robannas, Birmingham, with Miguel Seco on production. Despite a 3-year gestation period, we still managed to find new facets to this complex song once the recording started. Mig's unerring sense of what works and the band's willingness to experiment have resulted in something rather special that we're particularly proud of. See the 1912 web site for more info: www.nineteentwelve.com. 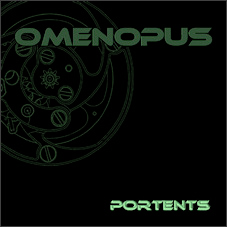 In order to get something out there, following the disastrous scuppering of our debut album launch, we've put together a 4-track EP CD "Portents", featuring two tracks from the album and two collaborative tracks to showcase what Omenopus can do: one with Sheriden Starr (AKA Bangtheory) and another with Spirits Burning. You can get this FREE (just pay for postage) from: www.omenopus.com. The debut CD has had to be shelved following the departure of one member, who has also refused permission to use any of her contributions. As the album tracks had just been professionally mastered, this was extremely bad timing and rather expensive! We're not beaten though. We're regrouping and auditioning prospective new members. This album WILL be made! More info from: www.omenopus.com. 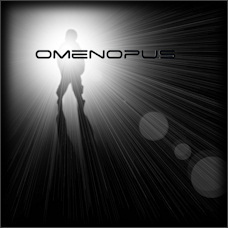 Jan 2010 - Omenopus debut CD is complete + new web site. The album is entitled "Open". We're still sorting out distribution, so you'll need to hang on for a little longer, pop-pickers! Once it's out of the traps, you'll probably hear about it first at the new Omenopus web site: www.omenopus.com. The Snapshot project with Lee Potts, Bridget Wishart and Louise Bialik has grown in ways we couldn't have predicted just a few months ago. Our collaboration has been formalised as a new group called OMENOPUS. This is a cyber-space project, as the four core members have never been assembled in the same place at the same time yet - the power of the Internet! Lee has created a new and cool-looking Myspace site for the venture. You can find it at www.myspace.com/omenopusandlmpotts. March 2009 - Collaboration with Lee Potts kicks into gear! For most of the last year, I've been collaborating with musician and producer Lee Potts on a variety of music (see articles below). He's done some amazing things with whatever raw material I've sent his way: be it old (c.1990) demo recordings, snippets of guitar, bass and bouzouki music, or even bizarre sound FX (Julie and I spent an enjoyable evening recording the sounds of several dozen kitchen implements being hit, scraped or shaken). Well this year, the whole thing has moved on a stage, as "Snapshot" - our collaboration with Bridget Wishart and Louise Bialik - approaches completion. This track started life back in 1990 as a demo tune originally entitled "Inferno". You can download this version on the Music page of this site. Move on nearly two decades, and Lee got in touch via our mutual friend Dave "Doug" Sutheran. Lee was interested in the new music coming from our band Dusk, and some of this was available on our web site. As well as the most recent Dusk rehearsal recordings, I'd put up a demo of my new song "State Of Grace". Rough as this early demo was, Lee could hear potential in it, so he created a dance remix (based solely on the MP3 file). Lee contacted me to get my approval. Well, I must admit that the genre was well outside my sphere of interest, but I could appreciate the musicianship involved, so gave it the thumbs-up. Over the next few months, we started revisiting more of my demos, including many more that were created back in 1990 on an old 4-track portastudio. Each time, Lee has amazed me with the lateral thinking he brings to a track, bringing to the fore elements that I had not considered. February 2009 - New gig photos added to 1912 site, Dusk site goes on a diet! I finally got around to uploading some shots of our debut gig at The Sound Bar, Corporation Street, Birmingham, which took place back in August 2008. Go to www.nineteentwelve.com. Many thanks to Martin and Kirsty not only for these photos, but for the shots taken in and around Robannas during our all-day rehearsal the day before, and for the videos of the performance. Over at www.dusk-music.co.uk, the site has been slimmed down to remove much of the material that was duplicated on the new 1912 site. There is still some overlap, but only where it was felt necessary to include the same information on both sites. January 2009 - New 1912 web site, more rehearsals. This new 1912 web site has finally been launched, at www.nineteentwelve.com. The old web site (still at www.dusk-music.co.uk and www.theduskproject.co.uk) will get an overhaul over the next few weeks to put the focus on the "vintage Dusk" material. The band have now started regular weekly rehearsals. This may not sound like earth-shattering news, but for the last two years, rehearsals have so far been few and far between. The new regime should speed up the process of putting together a longer set, so we can get out there and play! Lee is currently working with some other artists on a new version of "Inferno Desire", which features completely new lyrics. The new title is "Snapshot". Lyrics are by Bridget Wishart, vocals by Louise Bialik. Although still a work in progress, versions of the new piece (including a much shorter radio-edit) have already been played on at least one Internet radio station in America. There is the possibility that some other (very well-known) musicians will become involved before this project is completed. This one could be huge! "Dusk" has changed name to "1912", for various reasons. To find out more, visit www.dusk-music.co.uk. Crikey, this summer has certainly been productive! As well as all the Dusk activity, Lee has been busy crafting stunning new music from just about my entire back-catalogue of 1990s demo tunes: including Bolero, Slowburner, Summer Is Blue, Thinkin' 'Bout You. There are some great pieces in the collection, but to my mind one stands head and shoulders above the others: a beautifully-structured and powerful organic space-rock epic called "Inferno Desire". This started life c. 1990 as an outright heavy metal stomper inspired by a classic X-Men storyline, but in Lee's hands has grown into something much more elegant. 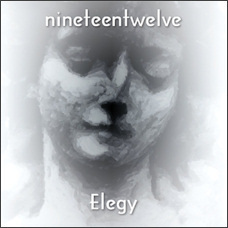 This cunningly-constructed creation grabs the listener's attention and holds it, despite clocking in at over 24 minutes. It became my favourite thing to listen to this summer - but there's more. . . I've now recorded several new guitar parts for the tune, which Lee has mixed in to the original tracks, to add even more more power and excitement to some of the climactic moments. The tune is available for download at Lee's site www.lmpotts.co.uk, as are the other tunes. Try listening to this one in the car - excellent driving music! But it doesn't stop there. . .
Lee has interested some other - somewhat more well-known - musicians in the project, and moves are afoot to add vocals to the tune (which currently uses a sampled spoken monologue as a theme to bind it together). I can't say any more yet, in case it doesn't come to anything, but check back for more news on this project as it happens. . .
And still they come! Lee has also been busy remixing some rough Dusk jam session recordings, to produce even more new and original music. Again, you can find these on Lee's site. You can also find some at the Dusk Myspace site. This took place at The Sound Bar, Birmingham on 19th August. Also on the bill were Angel Heart and Blue Nation (headlining). We had a small but appreciative audience (well, it was mid-week), but our short set went down very well indeed. We all had a great time, and immediately started planning the next few shows. For more news, photos and videos of the event, go to www.myspace.com/originaldusk. A big "Hello and Thank-you" to musician/producer Lee Potts, who has taken a basic (and badly-played!) demo track of mine (which may or may not see light as a completed song - for reasons that anyone who has heard me try to sing will appreciate. . .) and turned it into something quite amazing with his mixing wizardry. The track is called "State Of Grace", and Lee's "Omen Mix" can be found at his site: www.lmpotts.co.uk. Positive proof that you CAN polish a t*rd!